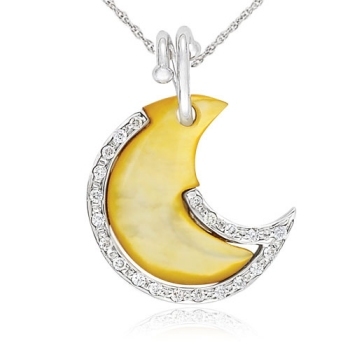 Reach for the moon or stars in diamond or gold with these ornate pendants. 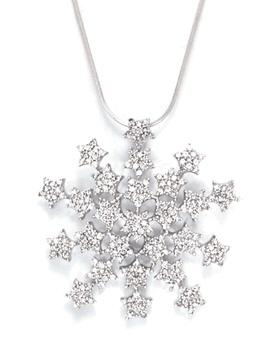 14K White Gold Diamond Snowflake Pendant, HeavenlyTreasures.com, $1995. 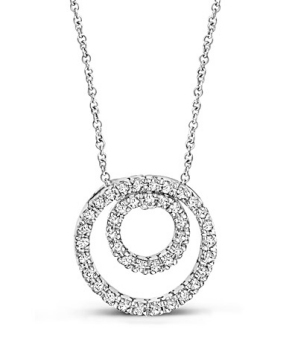 Open Diamond Circle Pendant, Montred.com, $590. 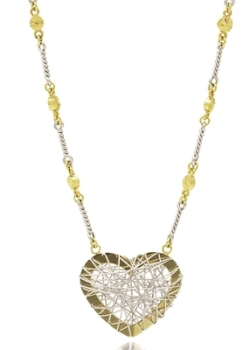 Gold Heart necklace, JewelBasket.com, $764. 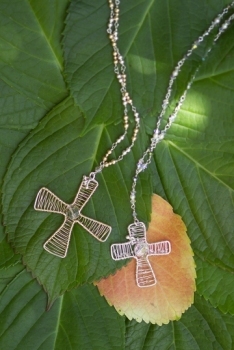 Dragonfly Designs Cross necklace, JewelryByDFly.com, $175.